Giardiniera Lovers Unite. Mission: Eat More Giardiniera! We're on Facebook ~ hook up with us there! Welcome to Giardiniera Town. We're Chicagoans who don't understand why the rest of the country isn't as in love with giardiniera as we are. Our dream is for this funky condiment to be as common as ketchup. We won't stop until every household has tried this misunderstood topper. 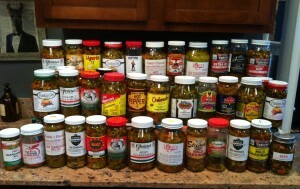 At EatGiardiniera.com, we're taste-testing our way to giardiniera nirvana. We help you find the right giardiniera for your fridge. From Chicago-style hot and spicy, to mild muffulettas, we cover it all. 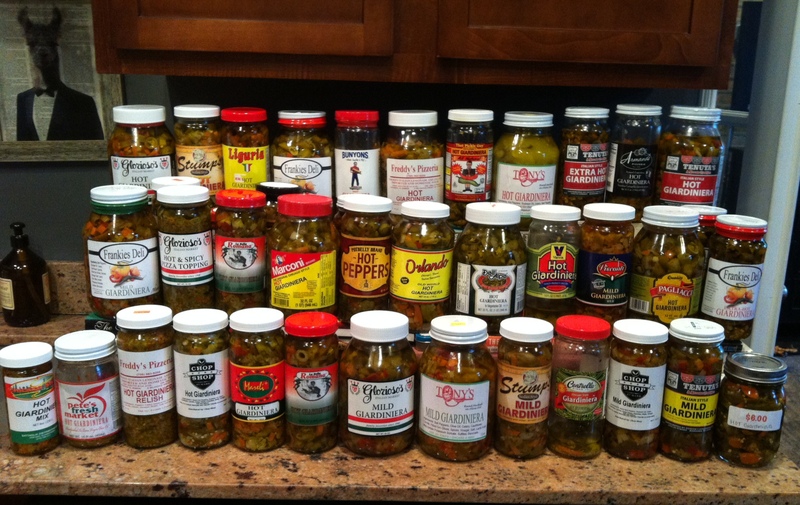 Are you a giardiniera fanatic who lives outside of Chicago and can't find it anywhere? Dude, we feel your pain. We compiled the most comprehensive list of giardinieras on the web and we show you how you can ship your favorite jars to your door. The EatGiardiniera.com movement isn't just about getting new folks to fall in love with it (and answer their burning questions about what it even is in the first place) - it's also about getting us all to eat MORE of it! We explore the amazing meals you can make with these jars of gold. It ain't just for Italian beef or sausage, guys (although it's pretty dang good that way, too). We have both meaty and vegetarian meals that call for giardiniera and will get your ramped up for dinner (or lunch or breakfast).